The Colorado Cancer Coalition has launched the Colorectal Cancer Awareness Month kit. This kit is for public health professionals, cancer control professionals, coalitions, community-based organizations and stakeholders who want to help spread the word about screening for colorectal cancer. 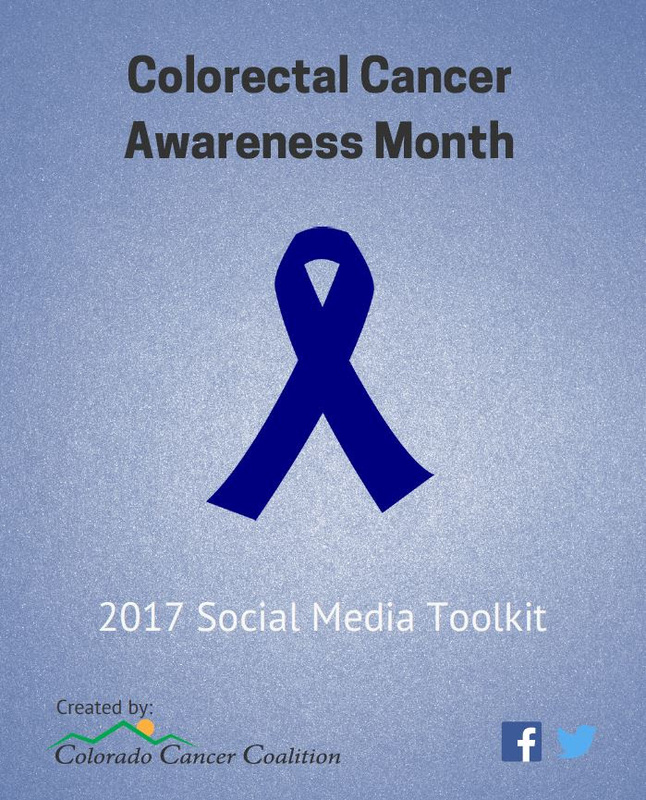 It was created for health care providers, nonprofits, and other community organizations in Colorado to help amplify social media reach during Colorectal Cancer Awareness Month. You will find suggested sample social media messaging that you can post as is or alter to fit your intended audience.